Welcome to The Road to Wow! a podcast where we share the lessons and confessions of leaders who are making a difference in the lives of the customers they serve, the people they lead, and the world around them. As the co-founders of GrowthTera, we meet with many amazing and inspiring leaders of companies who are achieving success by putting their customers at the center of everything they do. We uncover their stories, what works and what doesn’t work, the valuable lessons they learned, and how they get their customers to say “Wow!” when doing business with their company. In each episode, we talk with B2B CEOs, sales, marketing and customer success leaders. We reveal the stories, ideas, tactics, strategies, tools, and proven practices that contributed to their success. We capture the wisdom these leaders have gained as they enable their companies to better understand their customers, discover growth opportunities, get people across the company aligned and working together, and promote excellence in execution. We will discuss lessons learned as they navigate road bumps along the way, such as leading during a crisis, transforming cultures and navigating changing market dynamics. 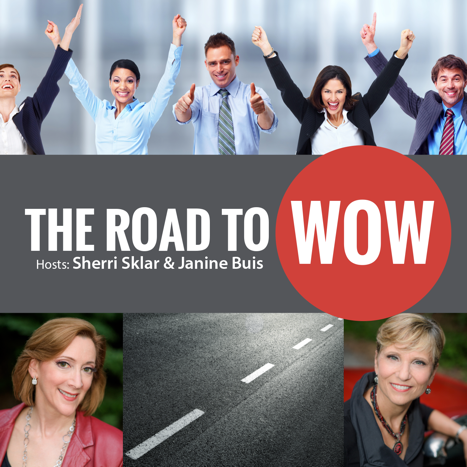 Our goal is to illuminate, inform and inspire you on your own Road to Wow! with your customers.